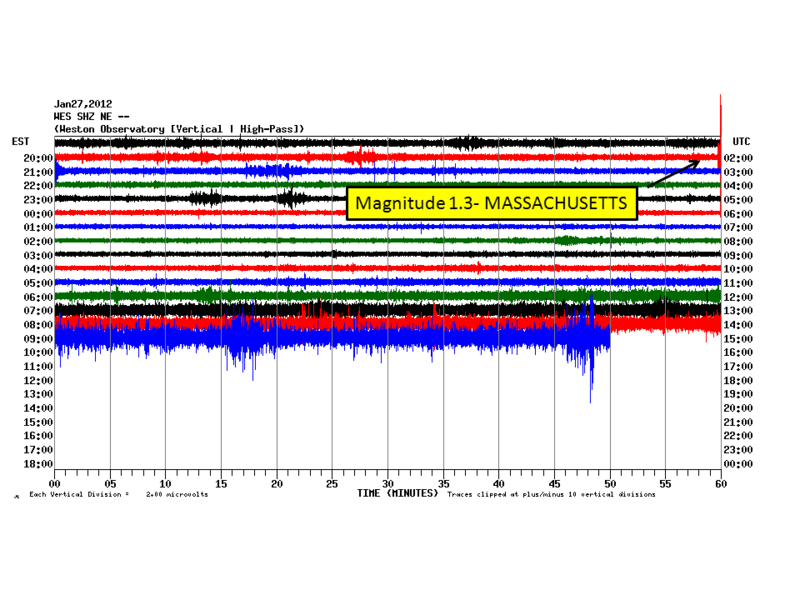 Weston Observatory seismographs recorded a magnitude 1.3 earthquake on 1/26/2012 at 8:59 pm EST near South Deerfield, MA. This is the same approximate area where a magnitude 1.4 and magnitude 0.8 aftershock earthquake occurred on 12/5/2011. Below is a seismogram of the WES seismic station located in Weston, MA.